During over 30 years activity we achieved an ability which allows us to provide highly skilled advice in Bunkering and Marine Lubricants. 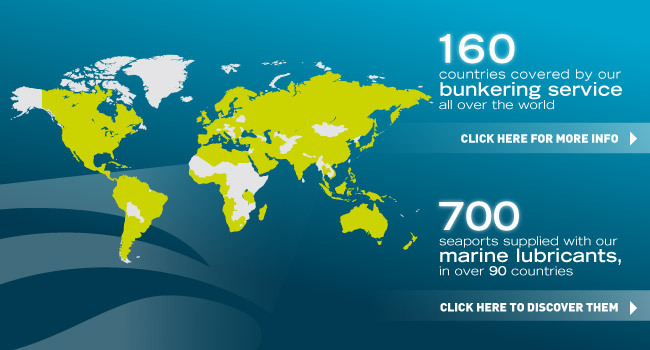 We’ve created a supply network thanks to a well-established cooperation with bunker suppliers and traders. This is the guarantee of a reliable round-the-world service, 24/7. Our quickness in answering is functional to global-market needs, and ensure the confidence and peace of mind necessary for our clients’ business development. We established solid and long-lasting relationships with our customers by providing high quality products, accurate service and innovative solutions to meet their needs. We are constantly spreading our activity into new markets, in order to properly respond to every business need.